It's often said that history repeats itself. Particularly when dealing with game-changing innovations that have a major impact on how people think and live. For example: early in the twentieth century when the newly-invented automobile was replacing horse-drawn carriages, those who were smart and wealthy were quick to buy one and those who were less smart and less wealthy, hung on to their horses. 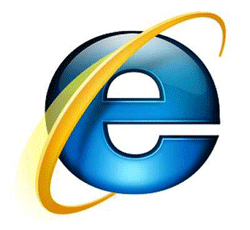 At the start of the 21st Century the Internet emerged and some were online in a flash, while others were less eager. However, now there were economic consequences that divided the early from the late. The early-onliners were eventually numbered among the "haves" and those who were late were among the "have-nots." Some early onliners were quick to stake out a place for themselves in this new industry. 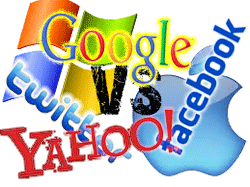 However, in 2005 the game-changer was YouTube, which offered free web-hosting for 10-minute videos. Suddenly, digital video was the new media of choice. By 2006, YouTube was the fastest growing site on the Web, uploading 65,000 videos and 100 million viewers per day! By 2008 YouTube went from hosting amateur videos that featured piano-playing cats and other visual goof-ups to making a deal with MGM, Lions Gate and CBS to post full-length films and television episodes, and advertisements in a section called "Shows." Since then, Hollywood and Television has never been the same! Due largely to the Internet, job opportunities are no longer limited to those offered by the major studios. Today, everybody and anybody is shooting video, everywhere and anytime! The Internet has changed everything! However, the process is happening so rapidly, very few can comprehend the changes taking place with television. For example: Internet Television (otherwise known as Internet TV, or Online TV) is the digital distribution of television content via the Internet. We shouldn't confuse it with Web television—short programs or videos created for the Web, or Internet protocol television (IPTV)—an emerging internet standard for use by television broadcasters. Internet Television is a general term that covers the delivery of television shows and other video content over the internet by video streaming technology, typically by major traditional television broadcasters. Some Internet television is known as catch-up TV. 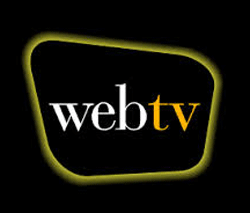 Web television (abbreviated web TV) is original television content produced or broadcast via the World Wide Web. Most of INcomTV's programming is considered a form of Web-TV. 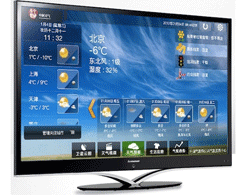 Web-TV began as an add-on device, usually a box that provides the internet connection and conversion of web pages for viewing on a home television screen. However, nowadays boxes are not needed because "Smart TVs" have the internet technology built into the television. The rise in the popularity of Internet video streaming meant that producing and distributing a web series is relatively cheap and can reach a global audience 24 hours a day. In the last eighteen months a number of web shows have been picked up by the networks. Once they transfer to a network, most Web-TV shows expand from 10-minutes to 30-minutes.